Communities’ perceptions of energy are complex, place-based and situated in cultural and political contexts. Explicitly addressing the social study of energy and climate change, the research highlights how developing collaborative, fair approaches to community low carbon energy transitions poses critical questions for both technical and social scientific methods. This research argues that there is a unique space at these disciplinary junctures of energy research for a transdisciplinary methodological framework that is embedded in both social scientific and technical contexts. 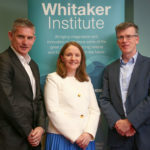 Introducing an innovative methodological approach, this research critically reflects on the design and development of a transdisciplinary methodological framework and its successful implementation in energy planning with 29 households participants on Inis Oírr, an island off the west coast of Ireland, from 2015-2017. The novel methodological approach developed and tested in this study utilised thorough qualitative data generated through in-depth focus groups and interviews. The data was then used to inform the design of technical energy plan scenarios employing hybrid micro-grid system design software.